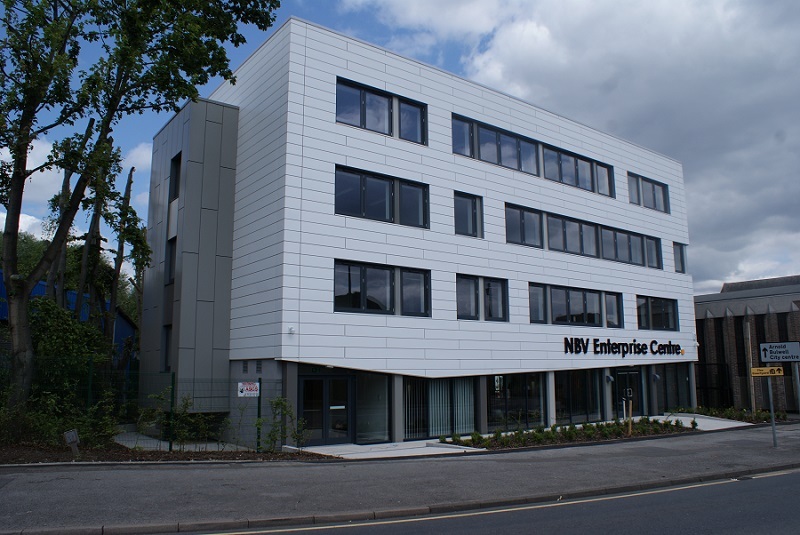 The new building, known as the Launch Pad, was designed by Architects Pick Everard and the improvements will create additional much-needed space for the award-winning tourist attraction, which has continued to see year on year growth since its launch in 2001. To deliver a cost-effective, new visitor reception and ticketing hall, known as “The Launch Pad” that compliments the existing design of the 42m high Rocket Tower in time for the 2018 summer holidays and enhance the Space Centre’s profile as an out-of-this-world visitor attraction. The Launch Pad is a new build extension and internal refurbishment that will provide a bright and welcoming visitor ticketing area, as well as an exhibition and education space. A new circular feature illuminated roof light provides a stunning view up to the Rocket Tower from within the ticketing hall. The extension had to be seamlessly and carefully integrated into the Ethylene Tetrafluoroethylene clad (ETFE) Rocket Tower which encases some of the largest exhibits, including the Blue Streak and Thor Able rockets. The new ticketing facility will greatly improve customer experience, extend the Centre to create much needed space, speed up the ticketing process at peak periods and create a brand new exhibition space for some exciting new artefact. To maintain an open as usual appearance, despite significant and potentially disruptive works. Due to the nature and location of the project, we wanted to push the boundaries of considerate construction. 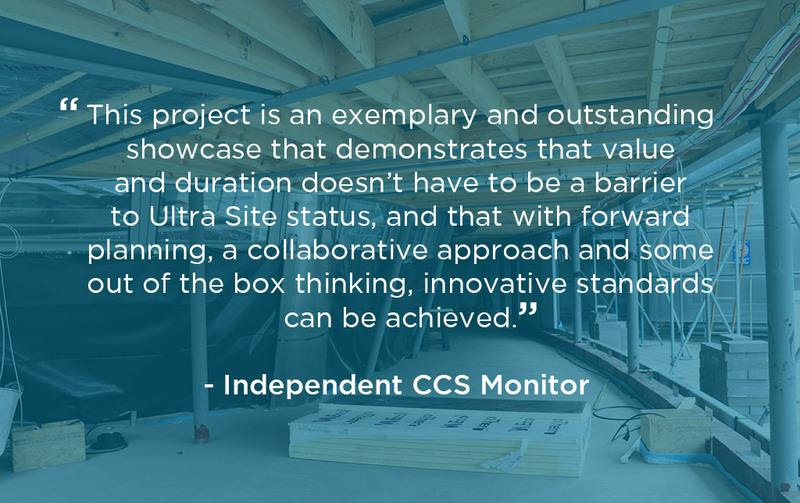 This project was the first scheme under £1m and 52 weeks in duration to be registered as an ‘Ultra Site’ through the Considerate Constructors Scheme (CCS). A ‘Part of it Culture’ ensured all parties were engaged early and all supply chain (where feasible) single sourced – this helped on meeting time and cost restraints. Integrating the new extension into an existing building clad in ETFE posed a significant risk. 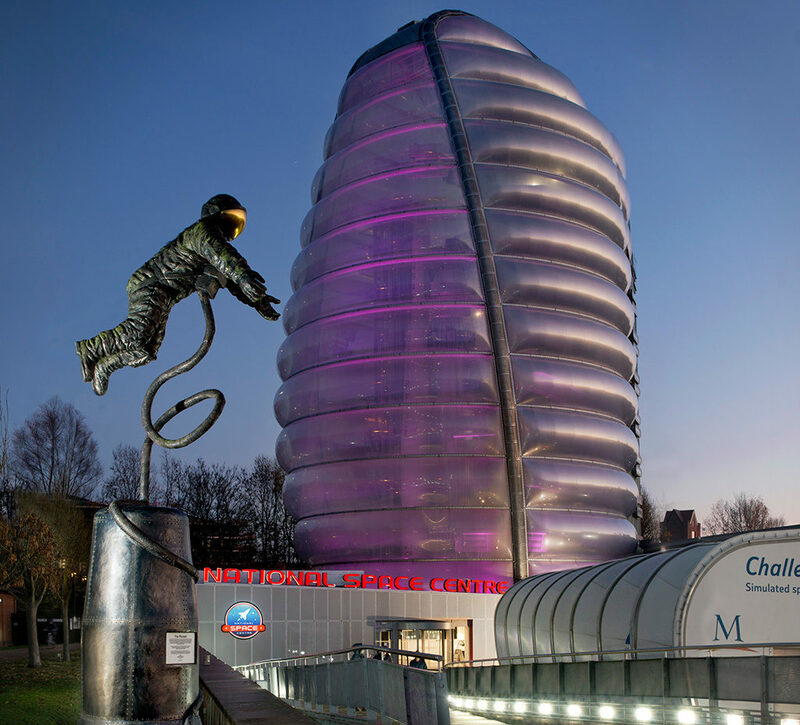 Aura Fabric Engineers Ltd and steelwork frame designer Tensys, who were involved in creating the National Space Centre’s 42m high ETFE Rocket Tower in 2000-2001, were engaged early. 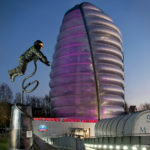 Their input helped to develop a programme, taking into account long steel frame lead times and delivery methodology, to minimise the risk of puncturing the existing ETFE Rocket Tower. The summer holiday is peak time for the Space Centre and a key driver was to have The “Launch Pad” open for the holidays. To meet the 14 week programme, we met with key supply chain partners at the start of the project to review product lead in times to develop the methodology. Weekly meeting with all partners, out of hours working helped us to meet the programme. The project required co-ordination of 14 subcontractors and up to 35 operatives at any one time. The Space Centre remained open throughout attracting thousands of visitors including a large number of school groups. 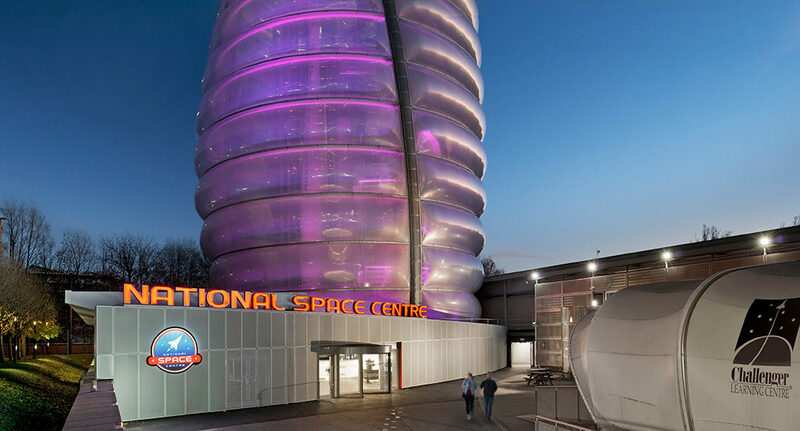 Through the commission of the new building, the National Space Centre will improve the visitor experience by speeding up the ticketing process, provide new space for exciting exhibitions and increase space for group visits. The event led to a high altitude launch of a golden bolt to the edge of space, the bolt will be used in the new Launch Pad as a lasting legacy. 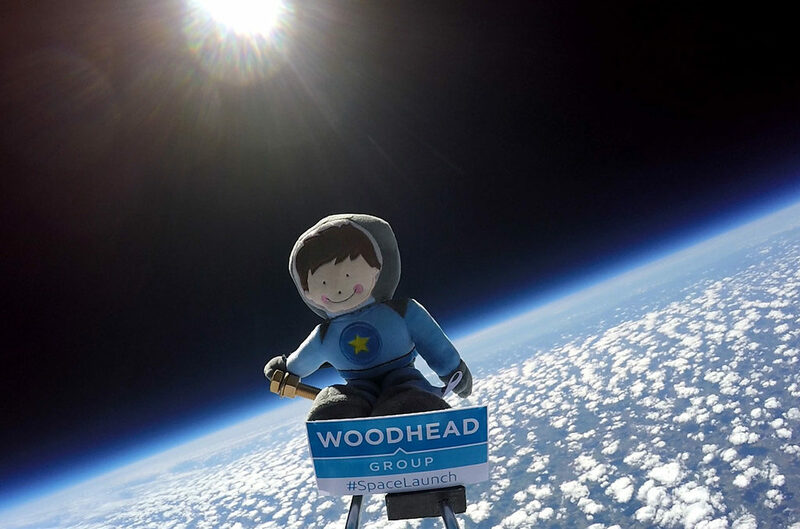 The site team worked with the Space Centre, key stakeholders, supply chain, CCS, the local school and the ‘Sent Into space team’ to deliver a day of promoting Construction and Space. Despite significant and complex works the National Space Centre continued to receive excellent reviews with guests commenting that their visit was “Awesome” “Fabulous” and “Exciting” whilst the works were in progress. 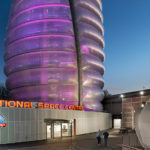 Improving a World Class Visitor Attraction National Space Centre Ultra Site Receives Stratospheric Praise from CCS A Giant Leap for Construction!